Some couple love it, for some other it’s just another day of the year. Whether you think of Valentine’s Day, why don’t you take the opportunity to surprise your other half with a charming and luxury getaway? We found for you the 5 most romantic hotels in Tuscany, perfect for every taste. If you are looking for something unique, that’s your choice. Residenza D’Arte is a hotel like you have never seen before. Located in a typical tuscan-like village dated to 1300, it will strike you with its incredible atmosphere. In this Gallery Art Hotel the original structure from XIV century melts with hundreds of contemporary piece of arts by Anna Izzo, designer, painter and sculptor, creating a stunning and unforgettable location. Try a couple painting lesson to give your soulmate a handmade Valentine’s gift or cuddle yourself with a romantic couple massage in the intimacy of your bedroom. We assure you that here every experience become magic. Do you know that is possible to treat yourself with a romantic escape without leaving the city? Ville Sull’Arno is just two kilometers away from Ponte Vecchio, but you will have the sensation to be surrounded by the quiet of the countryside. 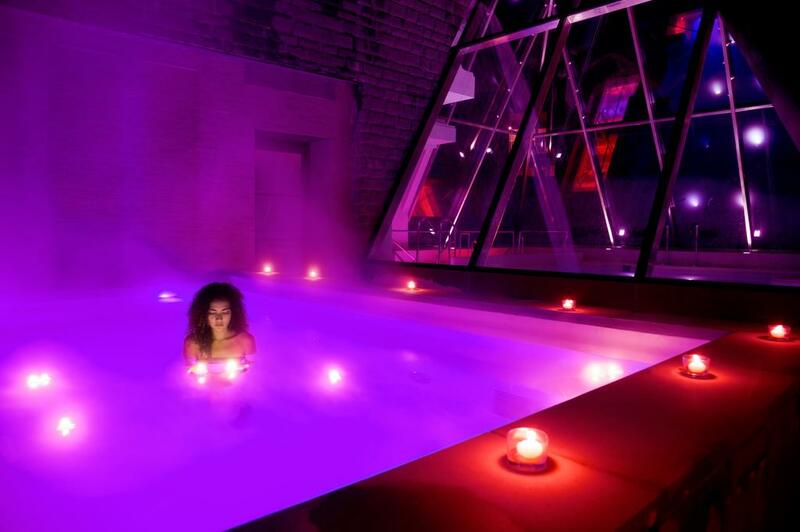 Here, every detail is studied to make your stay romantic and pleasant, from the pastel tones of the rooms to the amazing Florence view from “La Serra” and the wellness rituals available in the underground SPA. If you really want to surprise your Valentine, choose one of the three thematic suites that evoke unique atmospheres. The cold outside, the fireplace, a hot chocolate or a glass of wine to heat you up… What is more romantic than a weekend on the snow? We can tell you: a weekend at Val di Luce SPA Resort. With its elegant rooms, its fine gourmet food served at the restaurant and its stunning view on the mountains, it is the perfect choice for snow-lovers couple. Do you really need another reason to choose it? Imagine being with your Valentine in a warm pool, surrounded only by the quiet of the mountain, the firs and the snow. Above your head, a million star night sky. A dream? No, the amazing crystal pool of the resort, half inside a glass pyramid and half outside. If you want to feel like prince and princess, a Castle is what you are looking for. Castel Monastero is an original village who hides an enchanting piazza and an intimate little rural church inside its medieval walls. 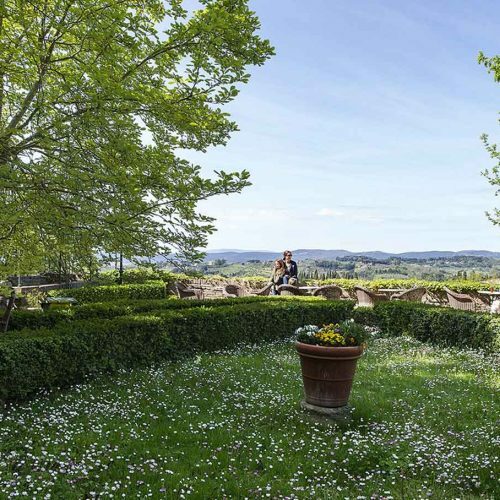 This miniature ancient world really is a fairy tale location and one of the most romantic hotels of Tuscany. Here, you can cuddle yourself in the SPA, who openly spreads over a 1000 mq or enjoy the restaurant menu, created in partnership with the starred chef Gordon Ramsey. If you are lucky and the weather is good, you can add another bit of magic at your stay with an amazing hot air balloon fly over Tuscany wonders. A romantic weekend in Tuscany can be the occasion for a little travel through time. Inside this historical hotel located in the center of Siena, you will have the feeling that here ages passes differently. Safe space for the persecuted during the Second World War, Palazzo Ravizza has been a meeting place for writers, musicians, painters for years. Now, it is the perfect choice for travellers looking for a charming and classic stay in the heart of the Palio’s city. 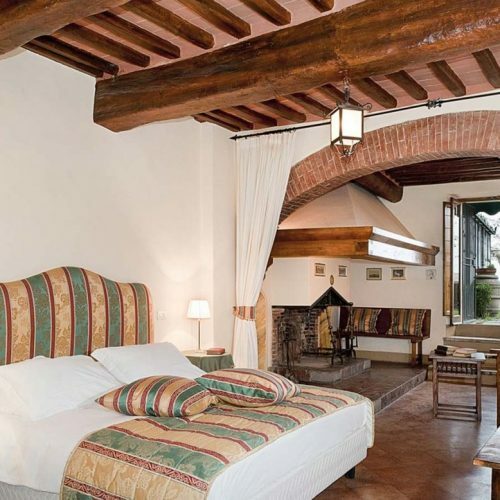 Furnished with antiques and precious fabrics, this really romantic Tuscan hotel is embellished with vaulted frescoed ceilings and floors made with Tuscan terracotta tiles painted by hand, but its most charming space is for sure the secret italian garden with a stunning view on Siena’s roofs.